The Quebec government has on many occasions signalled its commitment to fighting climate change. The province has set several targets for reducing greenhouse gas (GHG) emissions, aiming to have them disappear almost completely by 2050. Some Quebecers want to do more, as shown by the Pact for Transition launched by a group of celebrities last November. Even if reducing GHG emissions is itself a laudable goal, we can still wonder whether Quebec’s citizen or governmental initiatives will have a real impact. Situating the quantity of GHGs emitted by Quebec in a global context makes it clear that meeting its targets would have practically no effect on the climate. Canadian GHG emissions represented 1.6 per cent of global emissions in 2013 (the latest year for which data are available). Since Quebec emits around 11 per cent of GHGs in Canada, we can estimate that the province is responsible for around 0.18 per cent (or 18 hundredths of one per cent) of global emissions. This minuscule proportion is probably overestimated, since Canada’s share of global emissions has been falling for a few years, as has Quebec’s share of Canadian emissions. 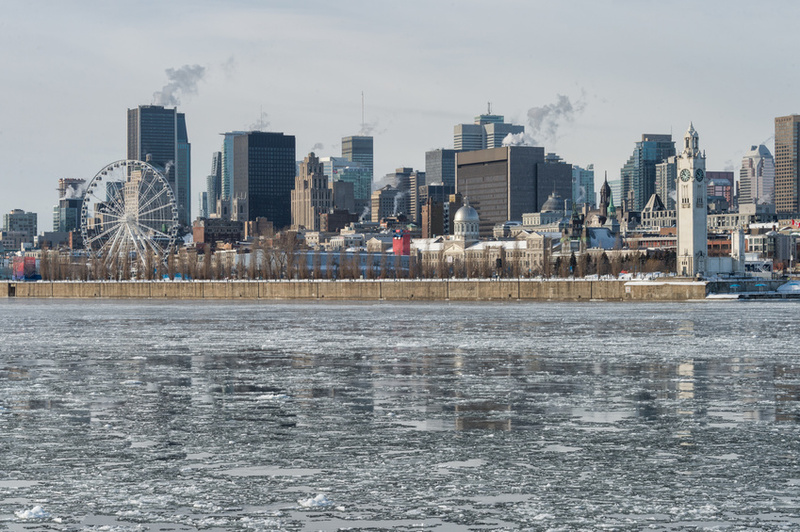 Quebec wants to reduce its already low emissions by 20 per cent between 1990 and 2020. This ambitious objective represents just 0.038 per cent (or 38 thousandths of one per cent) of today’s global emissions. And given that the province has already reduced its emissions by 11 per cent between 1990 and 2016, the remaining portion of the objective to be achieved by 2020 represents an even tinier portion of global emissions, namely 0.018 per cent (or 18 thousandths of one per cent). Moreover, Premier François Legault said recently that the 2020 target would probably not be met. Meeting the Quebec target would also be cancelled out very quickly by the biggest polluter on the planet: China. Between 2005 and 2013, Chinese GHG emissions increased by 559 million tonnes of CO2 equivalent (MtCO2e) each year. In comparison, Quebec’s total reduction target is 17.3 MtCO2e for the period from 1990 to 2020. In other words China cancels out all of Quebec’s 30-year reduction objectives in just 11 ½ days. Finally, within Canada, Quebec is already a model to be emulated. The province has the lowest per capita emissions in the country, with the typical Quebecer emitting just half the GHGs that the average Canadian does. Quebec also experienced the second-largest drop in per capita GHG emissions between 1990 and 2016. Overall, Quebec’s record in terms of GHG emissions is therefore remarkably good, especially considering its northern latitude, and the impact of Quebec’s emissions on the global climate is negligible to say the least; if we look specifically at the impact of the expected reductions by 2020, it is practically non-existent. What can Quebec do to contribute even more to the environmental effort? A first step would be to stop putting forward public policies that are ineffective, or downright harmful. For example, by subsidizing the McInnis Cement plant in the Gaspé, the Quebec government helped create the biggest GHG emitter in the province. The rest will depend on the transition away from fossil fuels, which is well underway. That being said, it will only really be achieved when it is accompanied by a technological transition. These transitions take time. For example, coal, which started to be replaced by oil around the end of the 19th century, still serves to produce around 25 per cent of the world’s primary energy. The same phenomenon is at work for oil. The advent of new technologies that emit less GHGs is inevitable, but will take some time. In sum, Quebec can make laudable efforts to reduce its CO2 emissions, but it is illusory to think that this will have a significant impact. The real solution lies above all in technological innovation. Germain Belzile is a Senior Associate Researcher at the MEI. He is the author of "GHG Reductions: Ambitious Targets for an Insignificant Impact" and the views reflected in this op-ed are his own. Read more articles on the theme of "Environment."